Jose Mourinho nearly signed for Manchester United’s fiercest rivals Liverpool while he was still a relatively unknown commodity announcing himself as an elite manager at Porto. In an interview with talkSPORT, ex-Liverpool midfielder Danny Murphy revealed that the Portuguese boss was a potential candidate for the job, but eventually lost out to Rafa Benitez, who had a more reputable CV at the time. Mourinho instead went on to have an incredibly successful spell at Chelsea, where he won two Premier League titles, the FA Cup, two League Cup titles and the Community Shield. He then returned to the Blues for a second spell, and won another Premier League and League Cup title. While he may have been sacked midway through a rather shocking 2015/16 season, in which the club ended up finishing 10th, it would be hard not to label Mourinho’s time in London as a success overall. 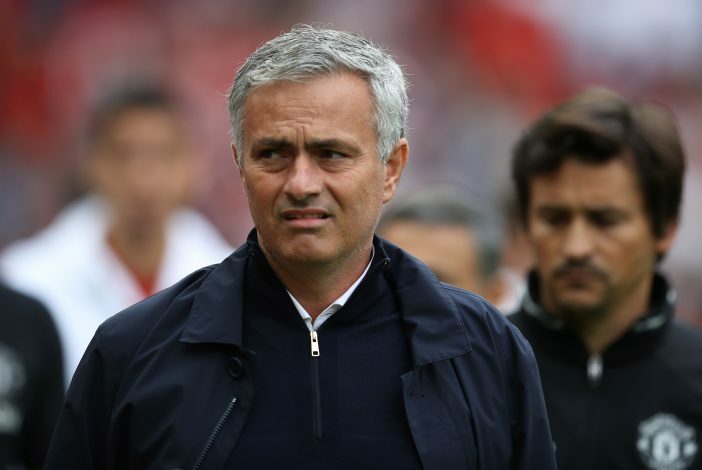 While at Chelsea, Mourinho formed a fierce rivalry with Liverpool, and didn’t do his reputation with the Merseyside club any favours when he signed for Manchester United this summer. When asked about whether he would’ve liked to have played under Mourinho, Murphy replied: “Well, strangely, I nearly did! “When Benitez was appointed at Liverpool, it was between him and Mourinho. I know that for a fact. Mourinho wanted the Liverpool job massively. “But Liverpool basically went with Benitez, because he’d just won the Spanish league title and UEFA Cup with Valencia and they thought that was more solid an appointment than someone who had only done it, and that time, in Portugal.